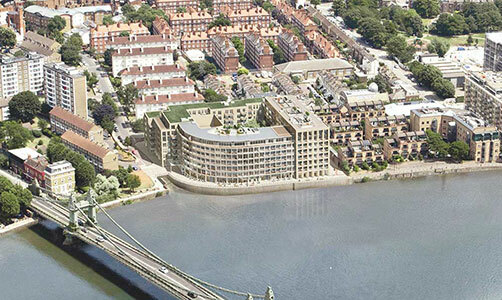 Queen's Wharf offers 165 beautifully designed apartments ranging from studio to three bedrooms. Reflecting the authenticity of the architectural heritage, these quintessentially British homes have been designed to showcase the best of London's unspoilt and stunning riverscape. 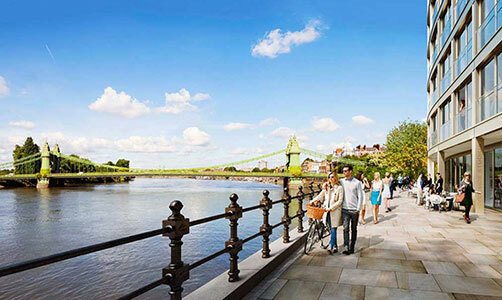 Queen's Wharf is located on the 'Surrey Bend' of the River Thames where it flows under Grade II listed Hammersmith Bridge - a place made famous by the defining role it has played in the world renowned Oxford vs Cambridge Boat Race since 1836.